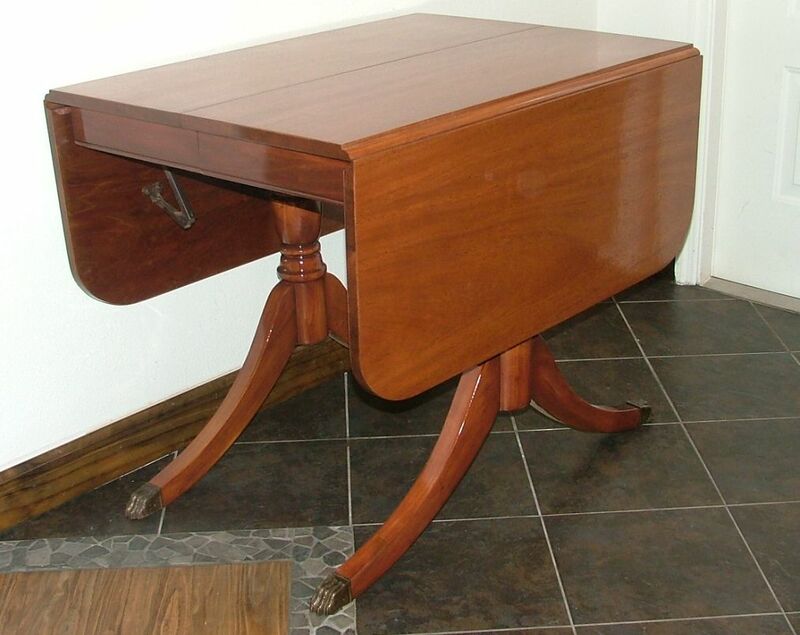 Antique mahogany drop leaf table. 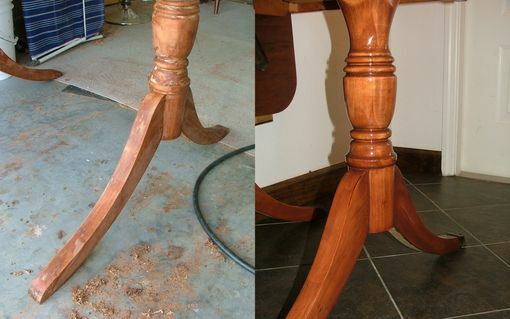 Restoration involved stripping the old finish and re-staining to match a new chair. 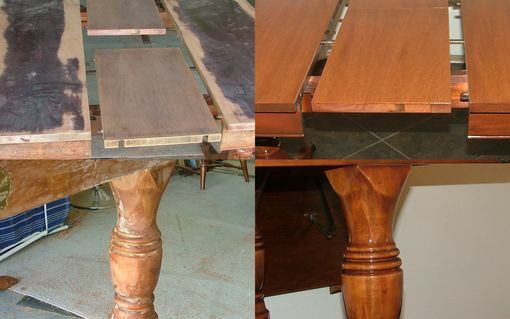 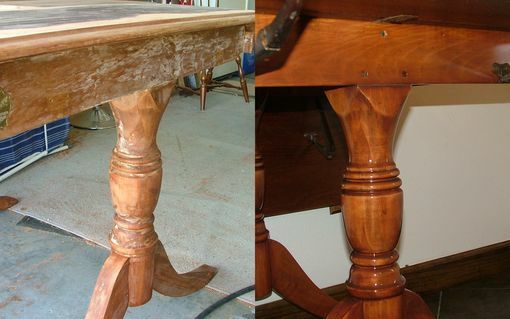 The veneer on top of table was replaced due to damaged condition. 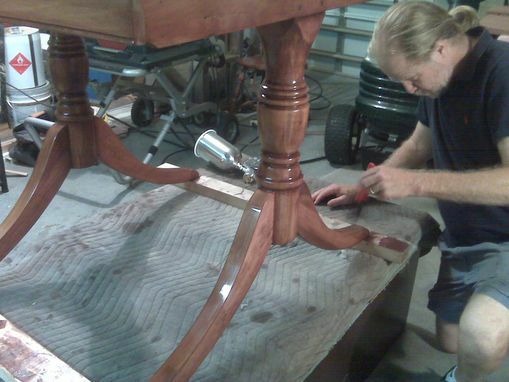 The table was then finished with polyurethane. Dimensions: This table is 36" by 66" with leaves open.